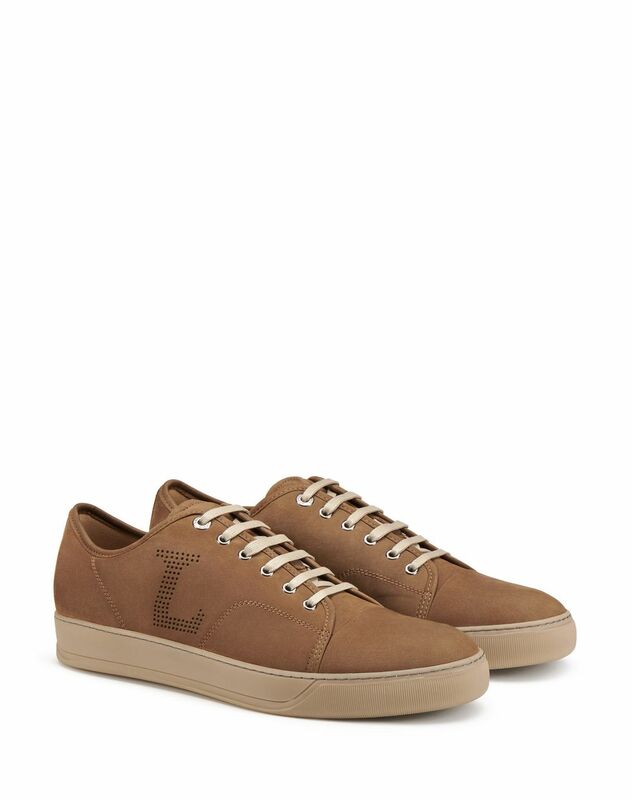 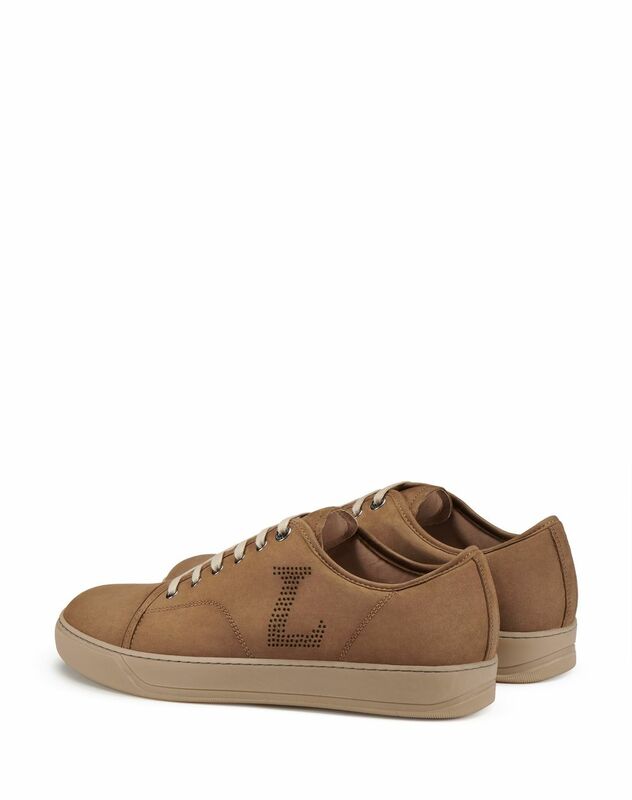 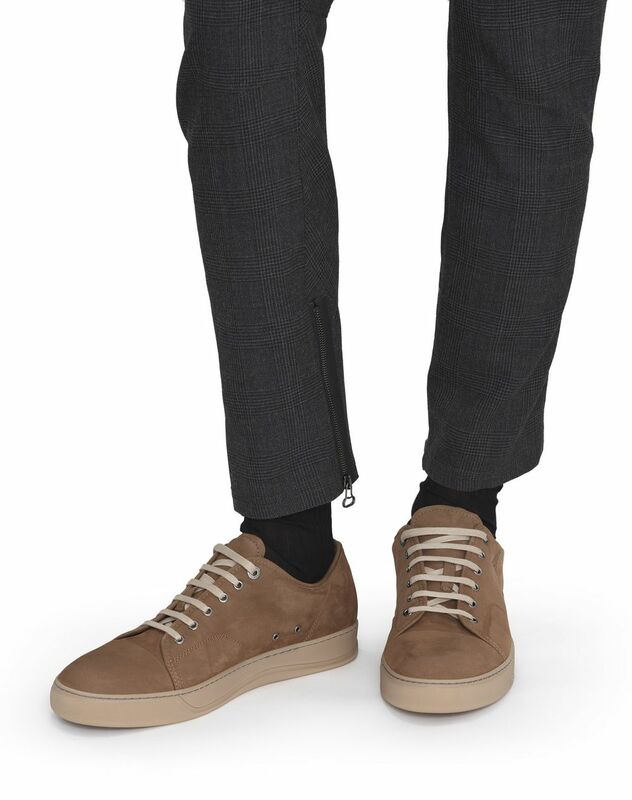 Brown low-top sneaker in nubuck-effect calfskin leather, perforated side “L” detail, tone-on-tone topstitching, contrasting light beige laces, beige 100% calfskin leather lining with logo, and exclusive light beige rubber sole. 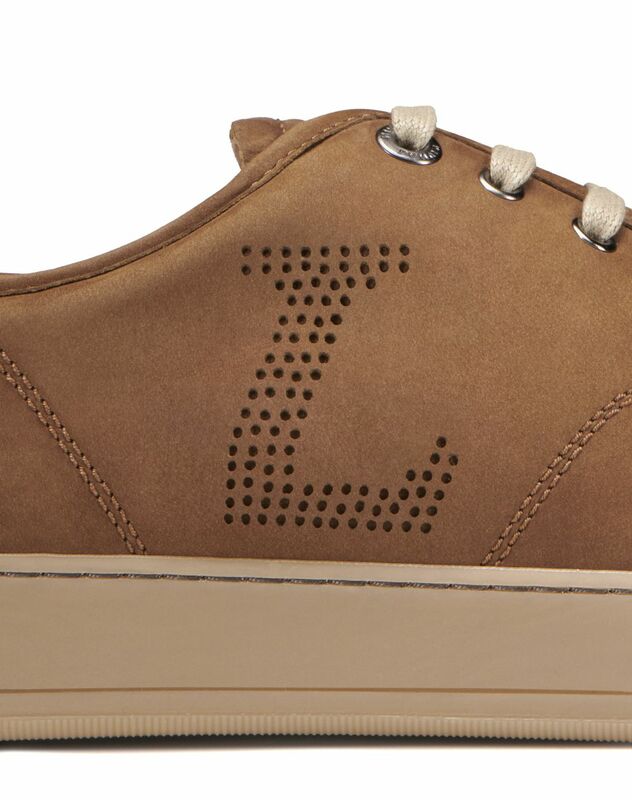 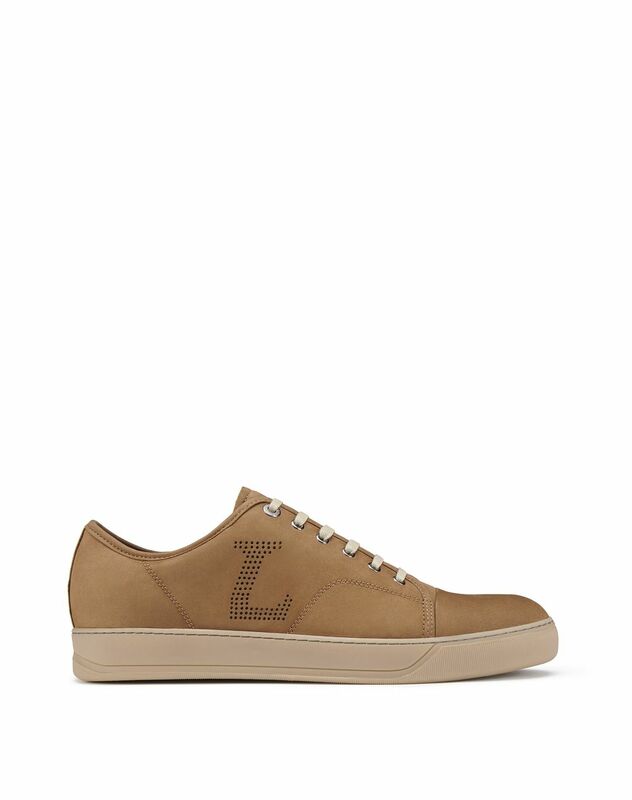 Made of nubuck calfskin leather, this sneaker stands out for its perforated side “L” detail. 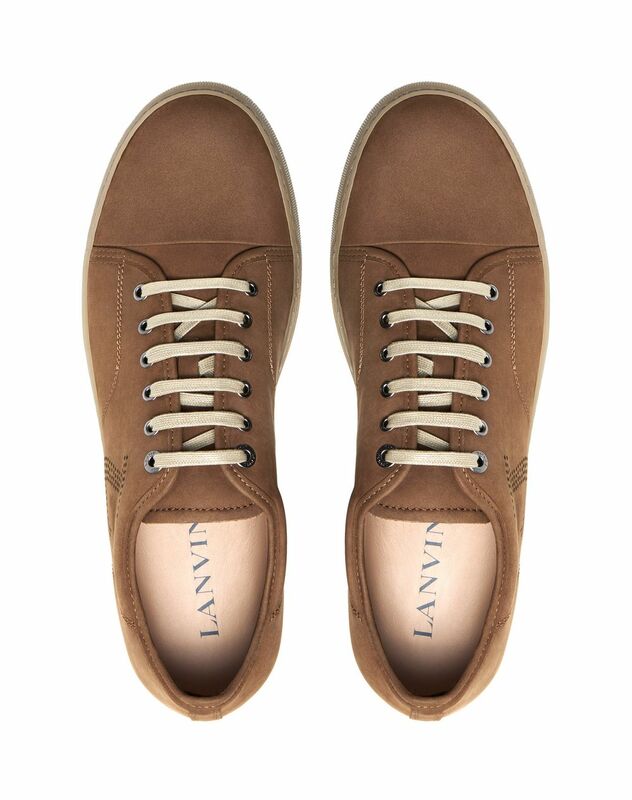 Its timeless shape—a Lanvin signature—comes together with its contrasting sole for a trendy, casual effect.